Washington DC is not only the capital of U.S. But is also a political center and an important destination for travelers. It is home to some of the most visited and famous monuments in the world such as the United States Capitol, the symbolic Reflecting Pool and the Lincoln Memorial. Tourists from all over the world come to DC to visit these beautiful places. Regardless of the fact that you’re coming to DC for a vacation or a business trip, it is necessary that you get around with ease, style and consistency. Our luxury black car service DC offers you all this and more. 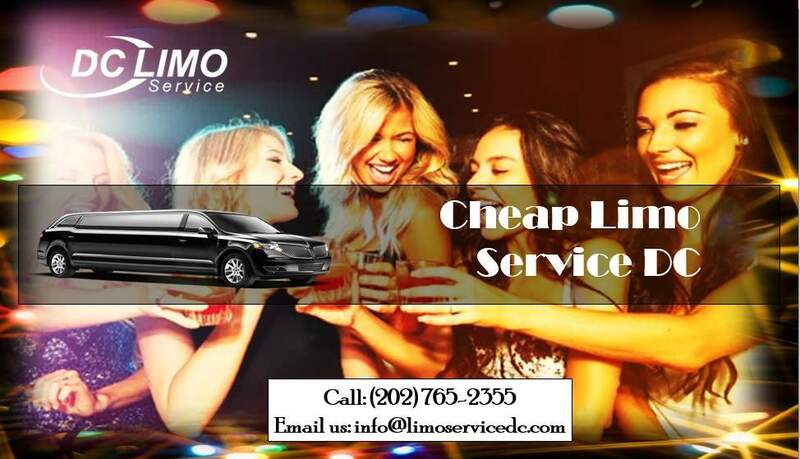 By hiring our fleet of vehicles, you can get access to a wide range of options to choose from, thus you can be completely sure that you’ll receive the best black car limo service in DC according to your needs. Even if you’re traveling with a large party or need a ride to some conference from your hotel, you don’t need to worry anymore because our vans and affordable limo service can handle it for you. 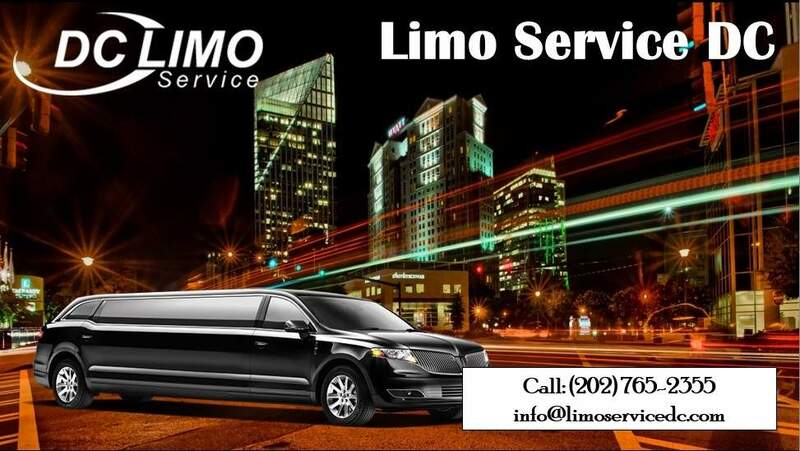 Limoservicedc.com offers ‘on-time, all-the-time’ luxury black car limo service in DC. Along with that, we also offer point-to-point and airport transportation service for our corporate customers and leisure time travels in DC. 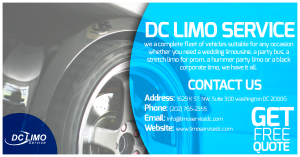 At Limoservicedc.com, you can get a hold of our affordable prices before you book a black car service in DC. This is because you can avail complete transparency and there are no billing surprises with us. In order to make your travel experience more convenient. We collect all the payment information before your ride so you can depart effortlessly with receipts that are automatically generated at the end of the trip. Safe and protective training to the drivers. Water bottles and mobile phone chargers for all our passengers. Preparation and defensive maintenance of all our vehicles on daily basis. A decorum of our service standards for offering customized limo service in DC. Arriving on the spot 15 minutes earlier to pick up due to our logistical planning. By hiring our black car limo service in DC, visiting Washington and places nearby can become easy, more efficient and comfortable. With a huge range of vehicle categories to choose from. You are definitely bound to find a car in DC that best meets your requirements. Whether you’re traveling alone or with a group of six. So, avoid all the disturbance and travel in luxury, style and comfort with our hassle-free black car limo service in DC. All our limo service drivers are very well-trained, experienced, dedicated. And have immense knowledge of the local area. They never fail to maintain the highest standards of professionalism and carefulness. In other words, as a rider or a passenger of our limo service in DC. You will get the additional peace of mind regarding the fact that you will arrive at your destined place in a completely safe, sound and reliable manner. So, now there’s no need to worry about having the privacy you want in order to relax after a long journey or to prepare for a forthcoming meeting ahead. Because you will never be exhausted in our comfy and luxurious limo car environment. Also, if you would like to go sight-seeing in DC in between your meetings. Our black limo car driver would be pleased to take you there and also would wait on call whilst you visit your desired places. You can also hire our black car service for ‘to-and-from’ the airport. No need to waste your time waiting in long, tiresome lines for a taxi or steer an unknown public transport system. Our airport transfer car service will get you to and from any place you want in Washington DC. Our limousine service in Washington DC is specifically designed to make your tour the best ever. Even if you want to go for shopping in DC. You can hire our black limo car driver who will guide you around and wait on call while you enjoy the city’s malls. 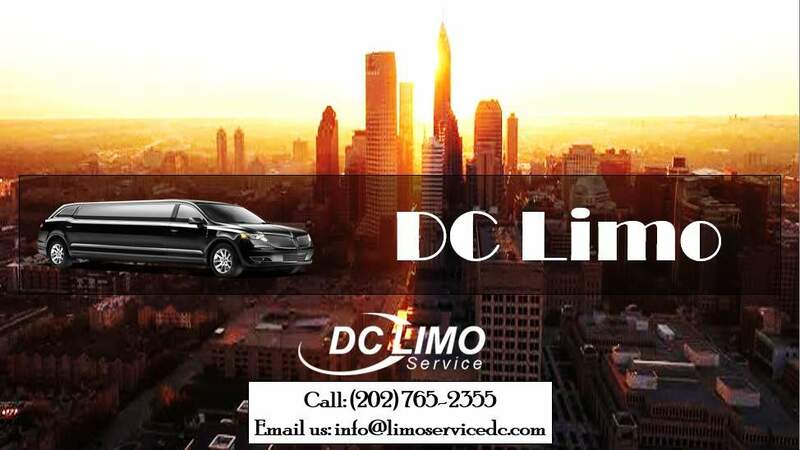 With our DC limo service, all you have to do is to take your time and relax. Our airport transportation and pickups include 50-60 minutes of free waiting time. All other pickups include a free waiting time of 15 minutes. Moreover, we have no hidden charges. We offer affordable all-inclusive prices that include all the taxes, fees and gratuities. In case if there are any changes in your plan, we offer a free cancellation up to 1 hour. We also offer wine tours in our Limo service DC so that we can comfortably host your event and pick up and drop off your guests and visitors around the area.